Who sings? Practices of performer presence in singing. Lecture by Barbara Kinga Majewska. The history of vocal performance practices reveals a broad spectrum of singer’s skills: from being a tool that delivers the score up to the presence that manifests vocalist’s artistic autonomy. Contemporary music scores interfere with the tradition of singer’s stage presence in singing and introduce new conventions. Also the inclusion of vocal in contemporary visual arts revisits questions concerning the ways in which performer is present in singing. How can a contemporary singer be present in singing? What are the dimensions or formats of her/his presence? Barbara Kinga Majewska will make an attempt to answer these and other questions in her lecture inspired with experience connected with her collaboration with Katarina Zdjelar during her residency in Centre for Contemporary Art in Warsaw. Barbara Kinga Majewska – born in Warsaw, a vocalist, performer, publicist, pedagogist, author of projects on contemporary music. In 2014 she debuted in the Grand Theatre – National Opera in Warsaw in Slawomir Wojciechowski’s opera “Zwycięstwo nad Słońcem [Victory over the Sun] (Projekt P)”. In Pawel Mykietyn’s opera “The Magic Mountain” directed by Andrzeja Chyra she sings the part of Clavdia Chauchat. She cooperates, inter alia, with Kwadrofonik band and Royal String Quartet. She performed, i.a., in Nowy Teatr, TR Warszawa, Polin Museum of the History of Polish Jews, Museum of Modern Art in Warsaw. 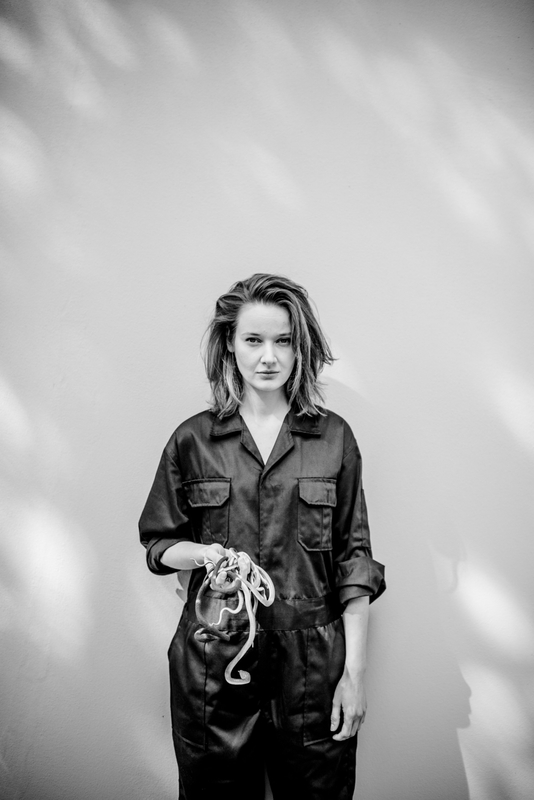 Barbara Kinga Majewska is the main prize winner of the Polish Music Critic Competition KROPKA 2015. Author of „Krytycznego przewodnika po sposobach realizacji zapisu nutowego we współczesnej muzyce wokalnej” [A critical guide to ways of writing scores for contemporary vocal music] and the manifesto „Nowa Śpiewność w Muzyce Współczesnej” [New melodiousness in contemporary music]. Nominated to PASZPORT POLITYKI 2015 [POLITYKA’S PASSPORT] award in Classical Music category.